Obituary – Steichen, Joseph Cleo « Perry High School Alumni Association, Inc.
– is a photography fan. He is the son of Mr. and Mrs. John M. Steichen of Rural Route One. He attended Sunny Slope school and Perry High School. He is 17 years old. Joe was outstanding for his activity work in school. He was a member of the band, the student council, the Journalism club, the 4-H club, the Senior play, and was uniform custodian for the Maroon Band. He was one of the few selected for the National Honor Society and for the Tri-State Band at Enid. He intends to take an agriculture course at A. and M. at Stillwater following his graduation. Joseph Cleo Steichen was born Oct. 20, 1921, in Perry, the second son to John M. and Maude Steichen. He attended Sunny Slope and Perry schools, earned his Eagle Scout designation, and participated in agriculture, band, and church activities. He graduated from Oklahoma State University with a bachelor of science in agriculture degree, animal husbandry major, and was recognized for highest grades in the School of Agriculture in 1943. He was on the OSU livestock judging team, a member of Alpha Zeta, Phi Eta Sigma, Block and Bridle, and Phi Kappa Phi, and loved being in the OSU band. He served in the armed forces during World War II (Camp Roberts and Fort Ord) and was past commander of the American Legion. He later returned to OSU to earn his master’s degree in agriculture economics of which he was very proud. He was named the Oklahoma Outstanding Young Farmer in 1954 by the Jaycees, designated as a Master Agronomist by OSU in 1958, and named an OSU Distinguished Alumnus by the Agricultural Economics Association in 1985. He was an avid supporter of OSU and the School of Agriculture throughout his lifetime. Joe married Ruth Helen Mildfelt in Richmond, Kan., on Dec. 1, 1945, and they recently celebrated 61 years of marriage. 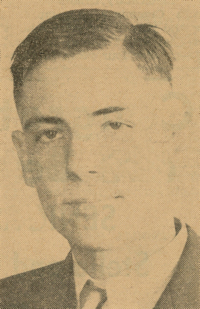 He is survived by his wife and five children, Tom and Pam Steichen of Wichita, Kan., Larry and Mary Steichen of Edmond, Linda and Dave Petrich of Minneapolis, Minn., Becky and John Bolene of Edmond and Mary Steichen of Dallas, Texas; 11 grandchildren; two step-grandchildren; and one great-grandchild. He was preceded in death by his parents, John M. and Maude Steichen; and one sister, Mary Lou Klein. Upon settling in Ponca City, Joe worked for the Ponca City school system as an agriculture instructor before establishing Silvertop Farm, his family farm and ranching operation southwest of Ponca City. His operation focuses primarily on wheat and soybean crop production and raising Shropshire sheep, Hampshire sheep, and Hereford cattle. Joe became actively involved in civic and community affairs, particularly those involving agriculture, Indian affairs, education, 4-H, Rotary, Boy Scouts, veterans affairs, and St. Mary’s Catholic Church. Joe loved his sheep. He served on the Oklahoma Sheep and Wool Commission for 34 years (since inception), including serving as its chairman. He was a national director and board member on the National Shropshire Registry. He served as chairman and director for the Mid-States Wool Growers Association. He was a 32 year member and Director of the Oklahoma Sheep Producers. One of his favorite pastimes was to attend sheep and livestock shows throughout the region including in Louisville, Phoenix, San Antonio, Houston (50 years), Tulsa and Oklahoma City. The last show he attended was at the Kay County Fair this year in which he had participated in for 58 years. He won thousand of awards including Supreme Champion twice at the Houston Livestock Show, Champion and Reserve Champion Shropshire and Hampshire at the Arizona National Livestock Show in Phoenix, and Champion Shropshire Ram at the Western Regional Shropshire Show in California. Joe had a deep commitment to agriculture. He worked a lifetime to help farm and ranch producers develop profitable operations, lobby for agricultural issues, keep the food supply safe, encourage adequate production to offset foreign dependency, deal with animal disease, discourage hormone injections, develop better animal confirmation, deal with legal problems, and maintain the environment for years to come. He served as a board member for the National Board Ag Policy Institute for 10 years. He served as a director of the Ranch Drive Co-op for nine years and was president of the Agrarian Club. 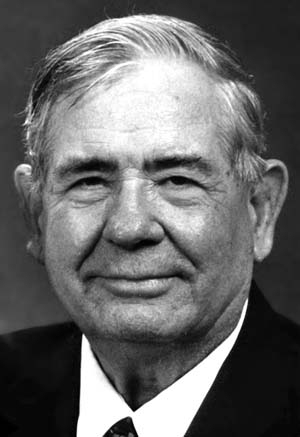 He was a 30-year member and chairman of the Oklahoma Crop Improvement Association, a 47-year member of the American Agricultural Economics Association, a 38-year member of Farm Bureau, and a member of the Kay County Seed Growers Association, the American Hereford Association, and the Oklahoma Hereford Breeders Association. He was a 50-year member of Farmers Union and was a founding member of the Tonkawa Farmers Union local. He was involved with the Oklahoma Wheat Commission and served on the agriculture committee of the Ponca City Chamber of Commerce for 25 years. He has served as a representative for Miller Township to the Kay County Fair board for many years and was vice chairman of the Kay County Minerals and Surface Owners Association. Joe loved his land. He has worked extensively with the USDA Soil Conservation Service and Bureau of Indian Affairs to maintain and improve soil conservation practices. When he moved to Silvertop Farm, his pasture’s soil fertility was low and ravages of erosion had set in. He developed the grasses and legumes, did soil testing, and applied fertilizer to develop the land, and was recognized with the KVOO Farm Department Soil Rebuilding Greener-Pastures Contest award. He also helped organize and manage the Big V drainage project. His civic activities included a strong commitment to educating children and adults. He was elected to the Ponca City School Board for 13 years, serving in numerous capacities including president, working as chairman of the transportation committee to ensure that children were able to get to school and with the school lunch program so that children would get a hot meal each day. He also served on the Union School, District 98 School Board for 15 years. Joe was a strong advocate of the 4-H program for many years and served in leadership and mentoring roles involving sheep, crop production, land judging, soil conservation, public speaking, and other project areas. He also taught veterans agriculture training classes for 18 years. Joe was long involved with Indian affairs at the local, state, and national levels, working with the Bureau of Indian Affairs to support the surrounding Indian community, including development of the White Eagle Indian Health Center, community water lines, and new roads. He served as chairman of the Ponca Tribal Housing Authority for 11 years. His beloved project was to ensure that low cost housing was made available to area Indians. By working with officials of HUD and the BIA, he developed and obtained the pilot housing project for the state of Oklahoma; 20 homes were initially built in this area and over 150 homes were built in north central Oklahoma when the project was completed. Joe believed strongly in community involvement and support. He was a 58-year member of the Rotary Club, served as president of the Pioneer Rotary Club, and was named a Paul Harris Fellow. Joe truly enjoyed the interaction with leaders throughout Ponca City, was always willing to share his opinions with his fellow Rotarians, and never missed an opportunity to discuss pipelines, abstracting, and easements to name a few of his favorite topics. He was a precinct officer for the Democratic State Committee and was a life long Harry Truman democrat. In the 1980s, he was a member of the Kay County Youth Services. Joe was involved with St. Mary’s Catholic Church since 1945 and was a member of the Knights of Columbus. He served as a communion minister, usher and head usher. Joe was committed to the Boy Scout program and sponsored scout projects and held leadership advisor roles. Joe will be remembered as dedicated to his family, committed to his profession, devoted to learning and education, generous to his neighbors, and influential in community affairs. He had a tremendous presence and will be greatly missed by his family, friends, and community. An endowed scholarship fund has been established in Joe’s name through Oklahoma State University – Animal Sciences, Sheep Department – Joe C. Steichen Memorial Scholarship Fund, c/o OSU Foundation, P.O. Box 1749, Stillwater, Okla. 74076-1749. A rosary service will be held at 6:30 p.m. at Trout Funeral Home on Sunday, Dec. 17, a funeral mass at 10 a.m. at St. Mary’s Catholic Church on Monday with a luncheon to follow in the parish hall, and interment at 2 p.m. at St. Rose of Lima Catholic Cemetery in Perry.